The home ownership rate among millennials in Malaysia is expected to rise in the next five years. 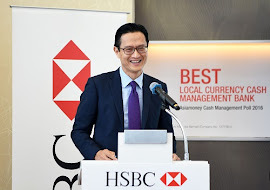 “More people in this group will be more willing to buy houses in the outskirt areas with improved infrastructure going forward,” said HSBC Bank Malaysia Bhd (HSBC) head of retail banking and wealth management Lim Eng Seong (pictured) in a briefing on the results of a global home ownership study commissioned by HSBC Holdings Plc, today. According to the study called “Beyond the Bricks”, 35% of 1,000 Malaysian millennials (those born between 1981 and 1998) polled already own their own homes. Of the 65% Malaysian respondents who do not own a home yet, 94% of them intend to buy one in the next five years. Overall, the study polled more than 9,000 people in Malaysia, Australia, Canada, China, France, Mexico, the United Arab Emirates, the UK and US. The study also found that the home ownership rate among millennials in Malaysia is below the global overall average of 40%. The combination of slow salary growth, which is expected to increase by only 3.9% this year, rising property prices and not saving enough for a deposit, will present massive hurdles for the millennials looking to own their own homes, said Lim. Nevertheless, Lim is hopeful and confident that the home ownership rate will be higher in future as most Malaysians still want to own their own homes while the continuous improvement in infrastructure will prompt developers to build more affordable homes in the suburbs. “Improved infrastructure opens up the cities and therefore the cities are able to spread out, and as they spread out, the supply of landbank will increase significantly and exponentially,” he said, adding that developers can buy land at a cheaper price and build cheaper houses in the greater areas. He also noted that the rate of home ownership can go up further if more homes priced at RM500,000 and below are built.